At the beginning of the year, OPPO had teased its zooming technology and the company recently held an event just before the Mobile World Congress to shed more light on 10x lossless zoom. This technology can significantly improve the camera performance of future OPPO devices. Along with that, the company also talked about its 5G plans for the year during the press event. 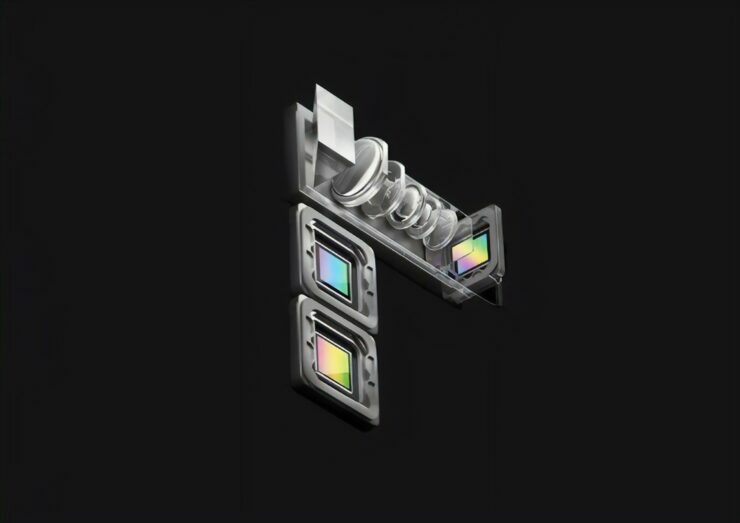 The 10x Lossless zoom technology would be a part of the triple camera system of an upcoming, unnamed phone that would be released this spring. The said phone will have one 48MP Sony IMX586 sensor, a 120-degree ultra wide-angle sensor, and a telephoto camera. The three lenses will offer a focal length range between 16mm to 160mm. The company has positioned the imaging lens and the additional sensors perpendicular to the phone’s body to redirect the light towards the imaging lens. This positioning enables the company to offer a 35mm equivalence of 160mm and forms the basis of the 10x zoom setup. Placing all the camera components horizontally and using the periscope-like tube has also enabled OPPO to offer the new technology in a compact form factor. Using a conventional optical zoom setup would have significantly added to the weight of the phone. Apart from achieving a 10x optical zoom, this setup would also offer 20x digital zoom. Zooming in at an object also transforms minor shakes into bigger disruptions and affects image quality. However, OPPO has reportedly taken care of the problem by equipping the primary and telephoto cameras with OIS. We’ll have to see how effective this hardware stabilization is going to be when the device bearing this technology is launched in Q2 of this year. Apart from revealing its new zooming feature, OPPO also unveiled that its 5G phone will also be launched in Q2 2019. The company said that the unnamed phone will be fueled by the Snapdragon 855 SoC and also contain the Snapdragon X50 5G modem. While it remains to be seen if OPPO will be able to enter the U.S., stateside consumers can expect to get this technology with a future OnePlus device as both the companies are owned by the same parent company. Also, for those devices that will feature this tech in the near future, expect to pay a hefty sum for it.